Our favourite L.A based apparel store isn’t just for basics anymore. From the classic cotton hoodies and V-necks to dresses, denim and accessories, American Apparel has expanded for the better to include all the fair-produced, higher quality North American products we need. Famously made in downtown L.A., find your local store or shop online at AmericanApparel.com. If you’re a fan of American Apparel then here’s a superb coupon code for you! 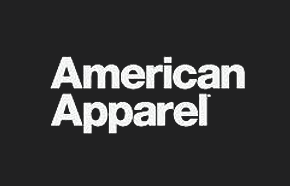 Get 10% off all American Apparel gift card purchases. 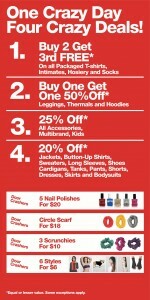 This offer is available online only at americanapparel.ca. 20% Off. Jackets, Button-Up Shirts, Sweaters, Long Sleeves, Shoes, Cardigans, Tanks, Pants, Shorts, Dresses, Skirts and Bodysuits. Purchase a mystery bag for your chance to score an assortment of merchandise that has been marked down beyond belief! It’s the perfect gift – not even you will know what great fashions will be found inside. Whatever it is, it is sure to impress. In addition to these sales if your online purchase is over $50, shipping and handling will be free.